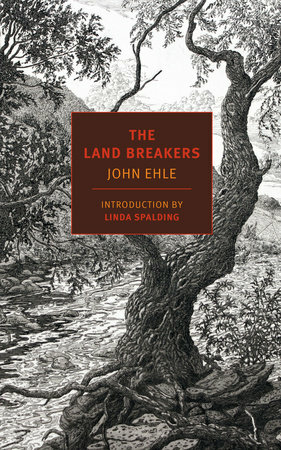 Set deep in the Appalachian wilderness between the years of 1779 and 1784, The Land Breakers is a saga like the Norse sagas or the book of Genesis, a story of first and last things, of the violence of birth and death, of inescapable sacrifice and the faltering emergence of community. Mooney and Imy Wright, twenty-one, former indentured servants, long habituated to backbreaking work but not long married, are traveling west. They arrive in a no-account settlement in North Carolina and, on impulse, part with all their savings to acquire a patch of land high in the mountains. With a little livestock and a handful of crude tools, they enter the mountain world—one of transcendent beauty and cruel necessity—and begin to make a world of their own.Mooney and Imy are the first to confront an unsettled country that is sometimes paradise and sometimes hell. They will soon be followed by others. John Ehle is a master of the American language. He has an ear for dialogue and an eye for nature and a grasp of character that have established The Land Breakers as one of the great fictional reckonings with the making of America.